PlasticMinimalism: Yes, you can make a difference! Voor Plastic-Free Tuesday heb ik onderstaande post geschreven. 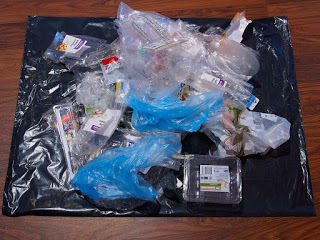 Het artikel is ook te lezen op www.plasticfreetuesday.com. Het volgende blog hier is weer gewoon in het Nederlands. A few years ago I stumbled upon a TED video in which Beth Terry tells about her plastic free life. I was intrigued. During the years that followed I increasingly often read and heard about how plastic kills animals and ruins the planet. After seeing yet another photo series of bird stomaches filled with plastic, I decided to do something about it. Because I strongly believe that we -as Ghandi said- should be the change you want to see in the world, my goal was to reduce my own plastic consumption. Like Beth Terry, I decided to document it all. So I started writing on my Dutch weblog Plasticminimalism. "You can't change the world by yourself"
While some argue that on a global scale, this won't make any difference, I strongly disagree. First of all, this argument does not make sense if you reflect on the core of our plastic problem. Where does the plastic come from? How come birds are building nests made of plastic? 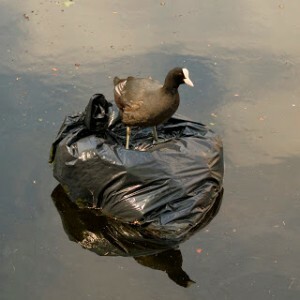 How did the plastic get into the living environment of the bird in the first place? Exactly. It's because you and me are supporting the use of unneccessary plastic in our society by constantly accepting and buying it and then disposing of it. If you and me would not buy any plastic, there would not be any (or at least a lot less) plastic.